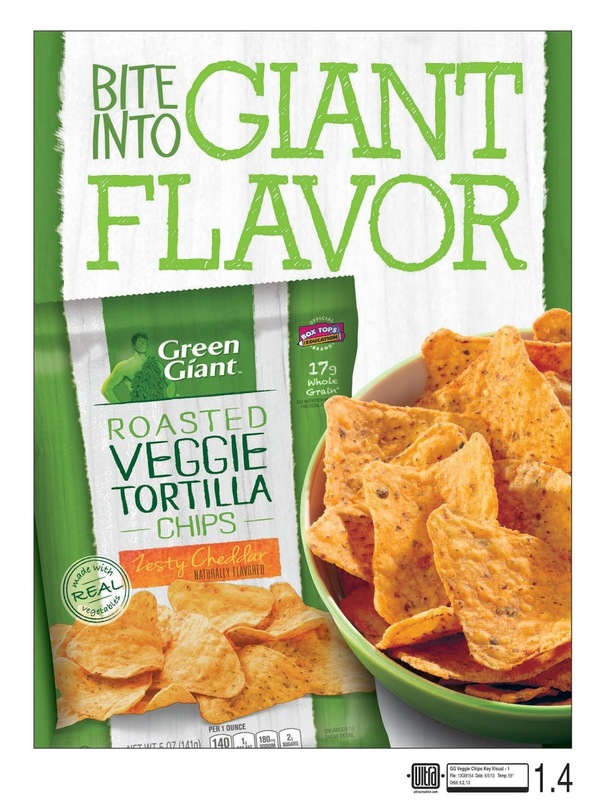 If anyone is going to know healthy vegetable foods, it is going to be Green Giant! When I think vegetables, I automatically sing the Green Giant song in my head! "Ho Ho Ho, Green Giant!" And for your listening pleasure if you don't remember the song! Corn, Broccoli, Carrots and more. The whole grain corn provides you with 18 grams per serving, with the recommended daily being at least 48 grams. This particular snack has 6 grams of fat per serving, which is much lower than a lot of snack foods on the market today. These were extremely flavorful. Almost like having your sweet salsa right in the chip rather than dipping it. These need no dip at all, simply wonderful alone. They would make a great topping to a bowl of chili or crumbled up and put on a baked casserole for added flavor and crunch. This also comes in Zesty Cheddar which I can't wait to try. The Multigrain Sweet Potato chip had a nice, light crunch to it. Not a thick, heavy chip, but light in weight.. heavy on flavor. I wasn't sure about the combo of sweet potato and barbecue, but it was much like a sweet barbecue sauce instead of spicy. It was a fantastic combination. 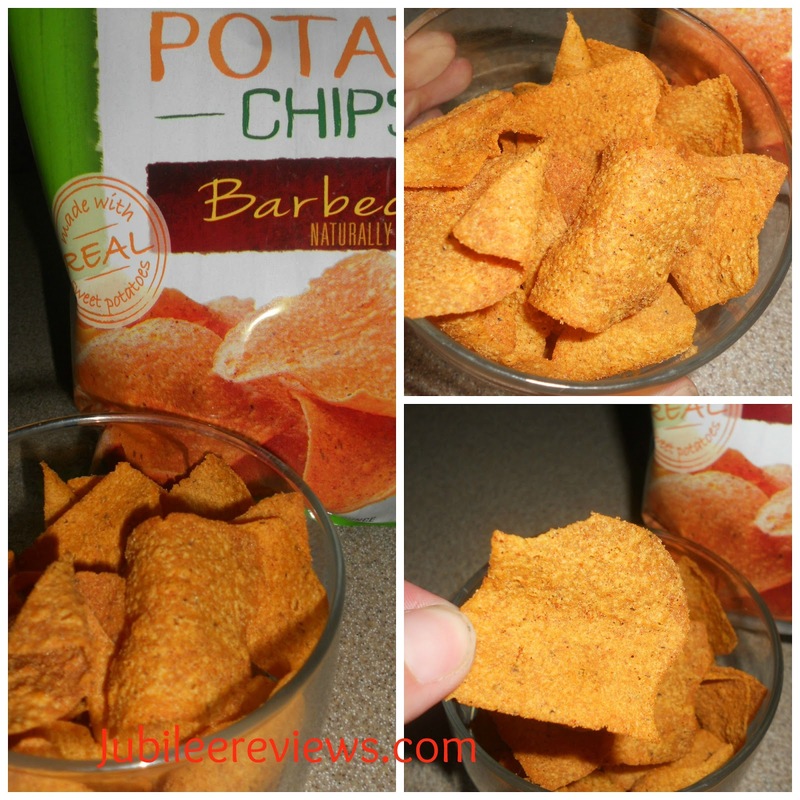 I had one of my teens try them as he is a HUGE bbq chip fan. He really enjoyed them and said "Mmm salty" a definite requirement to any true chip fan. This also comes in Sea Salt which sounds nice and salty for a chip lover. The Multigrain Sweet Potato chips contain 14 grams of whole grain per serving and have 0 grams of trans fat! Made with real sweet potato you can taste the uniqueness of using those rather than a white potato. 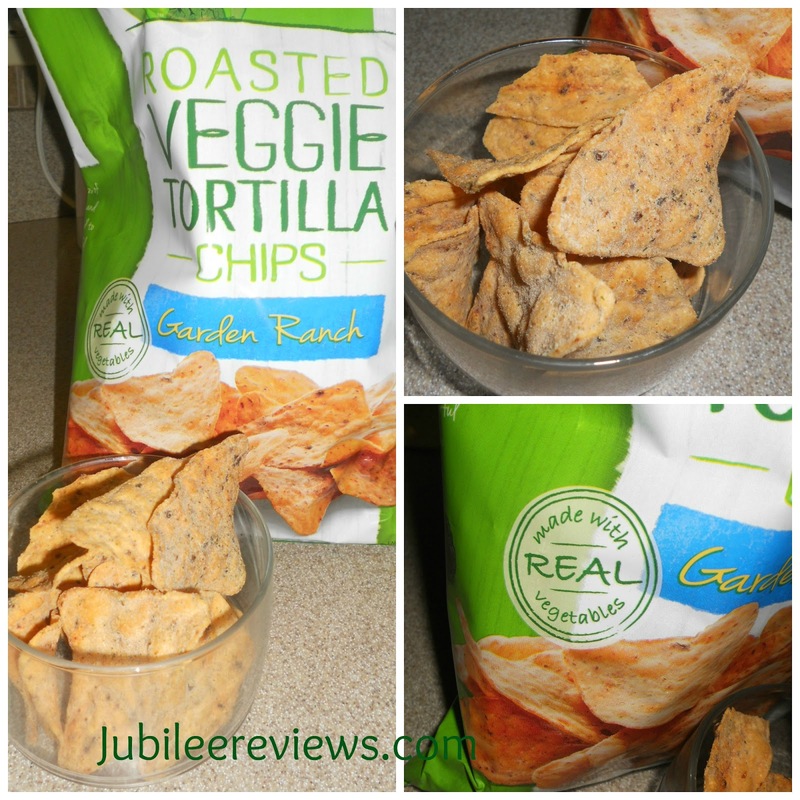 40% less fat than regular potato chips makes for a healthier snack all around! i've tried these before and they are really good! I have never tried these before but they sound like they are really good.